We recently returned from a lovely week in Cornwall; we stayed in a caravan in a holiday park near Looe and it was fabulous – me and the hubs have been together for eight years and have never been abroad together – I hate flying and we both love a good old-fashioned British holiday. Things have changed in recent years – with a small person who, now, age three can stay up a smidgen later at bedtime we aren’t quite as restricted for evening entertainment but we still find ourselves bored at 8pm. Last year we were unprepared and luckily we found a pack of cards in a drawer; this year we planned ahead and packed Monopoly(standard, my all time fave) and Hedbanz, a new ‘what am I?’ style game from Spin Master. After losing spectacularly at Monopoly(grrrrr) on the first night we cracked out Hedbanz to test it out. 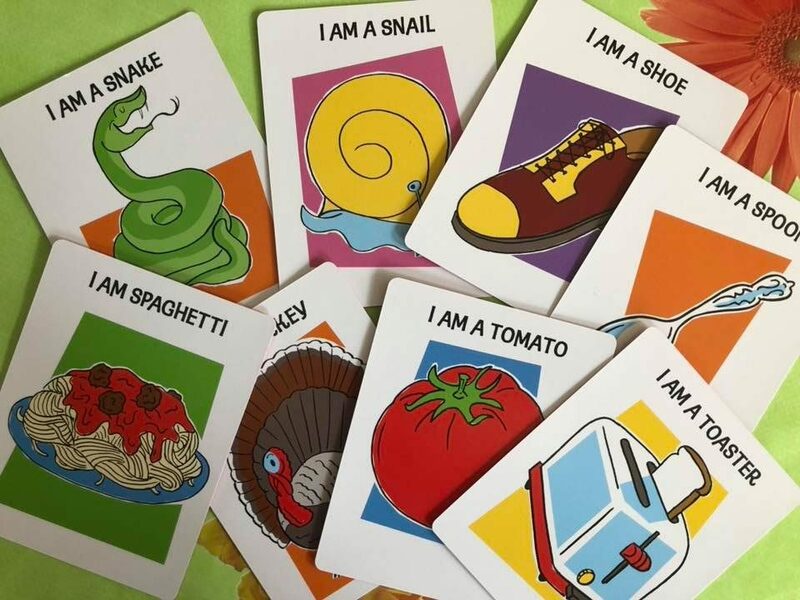 I remember as a child playing various similar versions of ‘who am I?’ using Rizla papers(my grandads; not my own, obvs), post-it notes and all sorts. 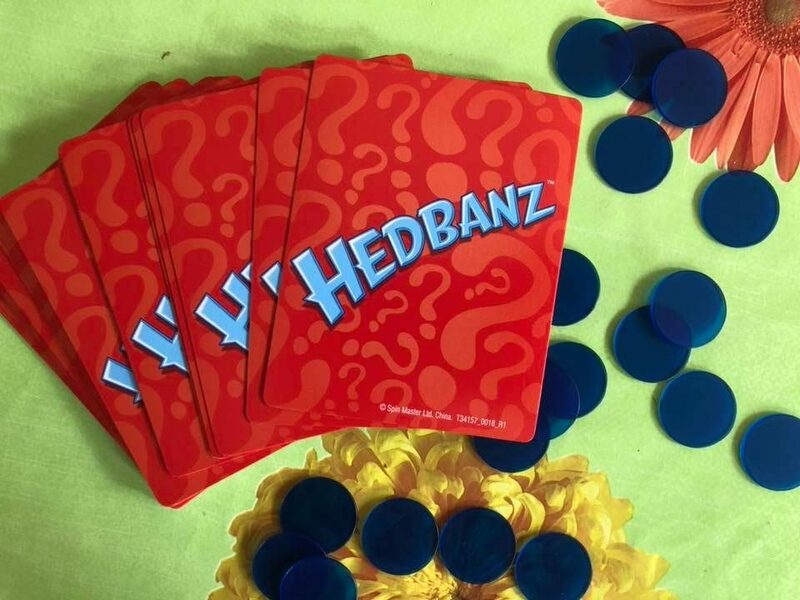 Hedbanz brings the game to a new generation and makes it simple for all the family to play and enjoy. The objects are all well known – so no risk of someone giving you that obscure Z-list celebrity that is impossible to guess. 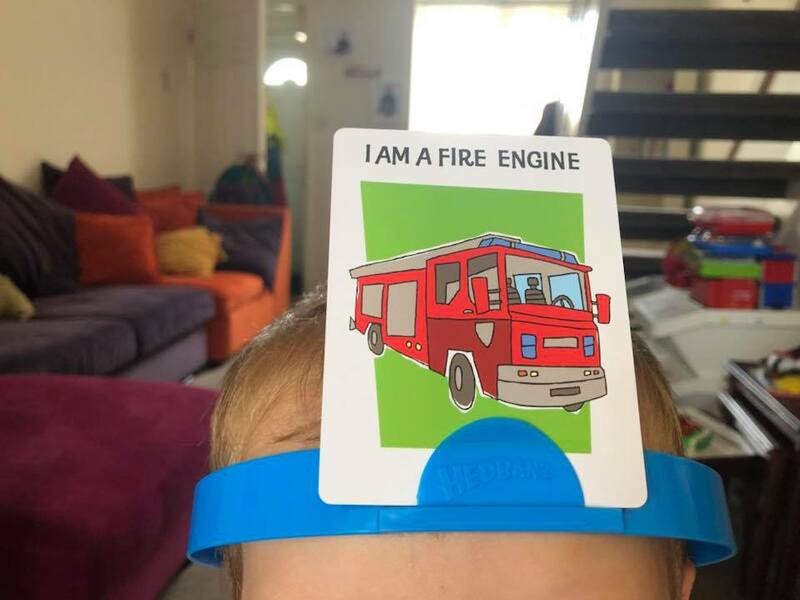 You need 2-6 players to play and it’s recommended for ages 7 and over; our little man was too little(threenager) to understand but loved wearing the ‘fire engine’ card and really wanted to get involved. You take a headband – they are really sturdy, size adjustable and clip together at the back of the head. You place the cards face down in the centre of the table and one face-down card is dealt to each player. You attach the card to the headband(without peeking – no cheating allowed) so everyone else but you can see it. Each player gets three of the small blue chips, any leftovers become ‘the bank’. 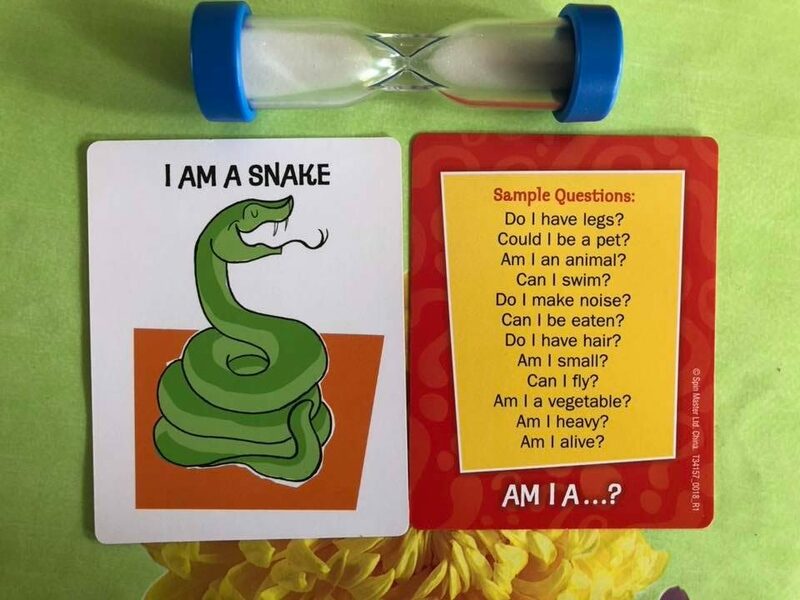 The youngest player goes first and then play passes to the left; on your turn you flip over the timer and ask each of the other players a question such as ‘am I edible’ or ‘am I an animal’. 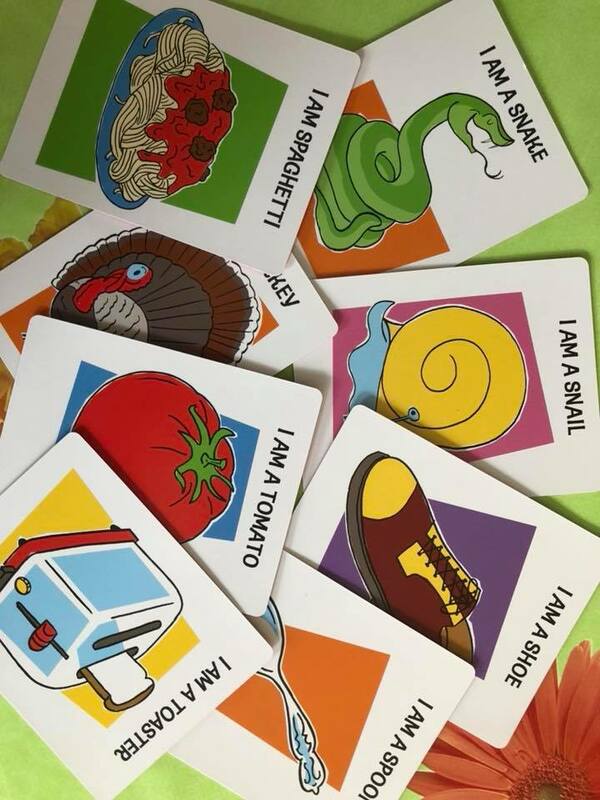 You carry on asking questions until the time runs out – for each picture you guess right you put one of your chips back in the bank. If you give up, change your picture but collect another chip from the bank. The winner is the person who has no chips at the end. 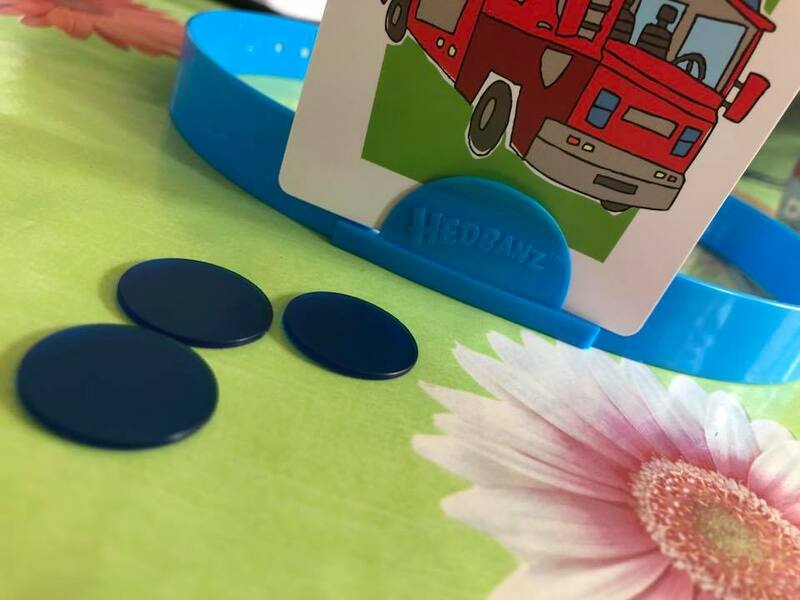 We really enjoyed playing Hedbanz – we laughed A LOT and I learnt that my husband is rubbish at this game; it’s also nice to find a game that the whole family can play together as it’s really easy to grasp. 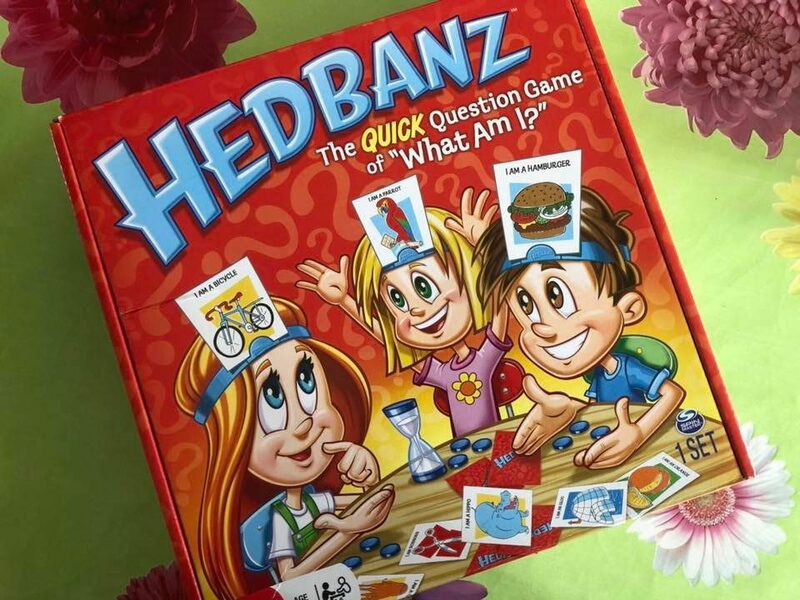 Hedbanz is available to buy from Amazon, Argos and lots more for around £13.99. Ahh! I love games like this which are fun but also get you thinking.